Family trip - or past and present - Eco? Bio? Freak! 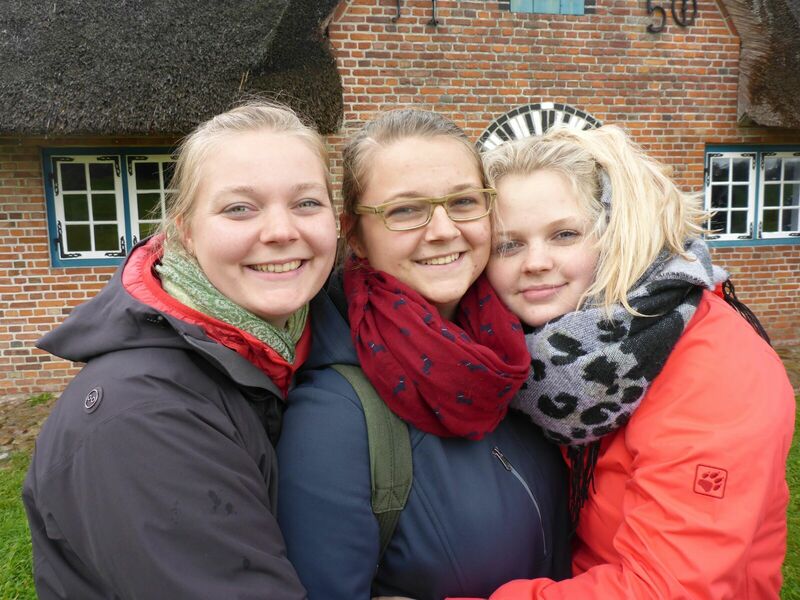 In October we did a day trip to the outdoor museum Freilichtmuseum Molfsee, all together, the entire family. And of cause in the rain. It was still lovely tho! All you need is watherproof clothes, for example a rain jeacket by PYUA. At some point it stopped raining and we where able to finish our walk way more relaxed. At the outdoor museum are lots of old apple trees, C. the boyfriend of my sister Hanna, was able to pick the perfect apple for me wih his super long arms. Exceptionally tasty these old apple varieties! But I had to eat it later, the apple was just way to cold! Still have a nice start to the week! Was zeiht dich denn aus Berlin nach Kiel? Molfsee ist toll, eine der schönsten Erinnerungen aus meiner Kindheit, wenn wir mal wieder einen Urlaub in Selent oder Plön verbracht hatten! Die Plöner Seenplatte bietet sich ja auch wunderbar für einen Urlaub an! Wo kommt ihr her, wenn ich fragen darf?